A shorter and quicker alternative to the congested A43 Lyon-Chambery came up during Saturday’s winter getaway. Also, a roundup of French road news, from the alarming latest road safety figures to a new front in the motorway toll row and a new portal to track speeding fines. And, a Gibraltar car is impounded over single packet of cigarettes as impressive annual crossing stats are revealed. Progress on the second Minsk ring road, and a roundup of other road building, as the Belarus road toll network is set to almost double. Faster, quicker back road to beat busiest stretch of winter sports motorway. D1505 Amberieu-Chambery, as recommended by @TRAFvacances. Photo Wikipedia. While traffic jams reached nowhere near the levels feared on Saturday, as skiers made their way en masse to the Alps, delays were nevertheless considerable on the A43 Lyon-Chambery. 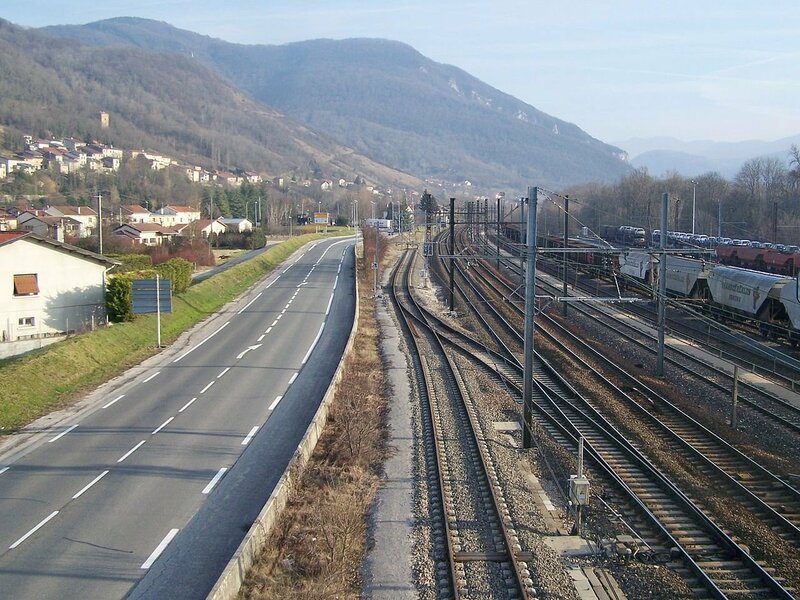 With the possible exception of the N90 to Moutiers, this part of the A43 is reliably the busiest stretch on peak days during the winter holidays. Interestingly, at the height of the congestion late morning, official holiday traffic advisory service @TRAFvacances advised drivers to divert from J8 A42 onto the D1504 from Amberieu. We’re alive to handy alternative routes to avoid the worst holiday jams @DriveEurope so we checked it out: it’s not only shorter than the traditional route but quicker too. It does depend on turning off the A6 at Macon onto the A40 (then the A42 at Druillat), rather than heading into Lyon to pick up the A43. A40 – ‘Autoroute des Titans’ – gets pretty busy too, but normally less so than A43, and the worst stretch is between Nantua and Bellegarde, after the A42 junction eastbound. Meanwhile, D1504 from Amberieu is just 52 miles to Chambery compared with 87 miles by motorway and at 1h20 – all things being equal – it’s ten minutes quicker too. The only apparent issue is that D1504 is single lane… potentially even more vulnerable to big delays than the A43 should the worst happen, on icy winter roads, but certainly worth bearing in mind. Road safety: a further rise of 12% in road deaths in January – mainly among drivers, cyclists and pedestrians – is alarming. Figures released last month showed accident fatalities increased by 3.7% in 2014 compared to the year before though, overall, 2012-2014 road deaths fell by 7.25%. Next month’s figures will be watched more keenly than ever. Road tolls: kerfuffle on Friday when former minister Corinne Lepage called on drivers to claim a 20% refund on tolls from the oldest motorways saying users should not be still contributing to construction costs. The operators were particularly upset when current Finance Minister Michel Sapin endorsed the move despite the conciliatory tone adopted by President Francois Hollande last weekend in the on-going row over toll charges. Speeding fines: it won’t be much use to regular drivers until cross-border prosecution starts in May 2017 but those who rent cars might find a new government portal to track speeding fines very handy (via ConnexionFrance.com). More great road art from Polish roads directorate @GDDKiA, this time of national road 61 across Zegrze Reservoir, dammed off the River Narew, a popular weekender twenty miles north of Warsaw. 61 heads 257km north east through the Masurian (Mazurskie) Lake District to Augustow near the Lithuania/Kaliningrad/Belarus border. roundup: GIBRALTAR. A single packet of cigarettes found in the glove box saw a woman’s car apparently impounded by Spanish frontier guards. After a complaint to Guardia Civil headquarters in Algeciras the car was returned reports TheOlivePress.es. Spain maintains the enhanced checks which have dogged those crossing the frontier on and off for the past few years are designed to tackle cigarette smuggling. Major delays have not been seen for some months. Last week the Gibraltar Borders Agency (@GibraltarBorder) revealed that 2.7m vehicles crossed the land frontier in 2014 while 61,194 commercial vehicles used the dedicated Eastgate. BELARUS. The 44km northern section of the second Minsk Ring Road – between the M6 to Grodno/Poland and M3 Vitebsk – will open this year says Belta News Agency. 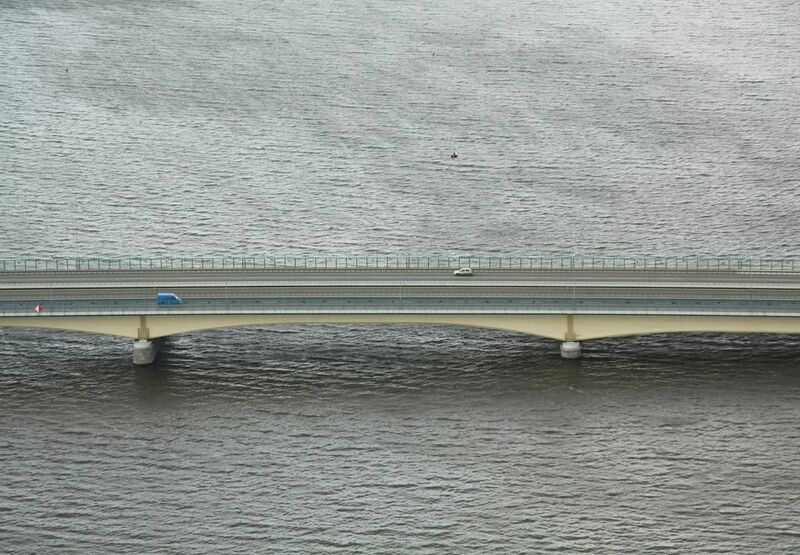 The south west stretch between M6 and M1 to Brest is scheduled to open 1 January 2017. Meanwhile, the BelToll.by electronic road toll system will expand to 2000km by 2020 from 1189km now. This year 300km will be added including the newly renovated section of M5 Zhlobin-Gomel, the four-lane sections P23 Minsk-Mikashevichi and P21 Vitebsk-Russia. The remaining stretch of M5 Minsk-Gomel, Babruysk-Zhlobin, is expected to be ready next year. Work is also due to start on renovating M6 Minsk-Grodno/Poland says Belta.